Ultra Slim profile for flat to wall mounting of just 14mm. Easy to mount slide lock mechanism. Fits screens 17" to 42"
- Techlink works closely with the electronics industry to ensure that its products comply with the latest standards used in home cinema devices. Ultra slim profile for flat to wall mounting of just 17mm with a built in spirit level for easy alignment when mounting. 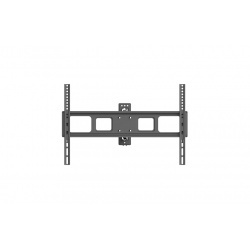 AVLINK SF801 - STANDARD TV/MONITOR FIXED WALL BRACKET VESA 800X500 37" - 70"
Techlink TLCD8 LCD Wall Mount Slim Profile with Tilt. 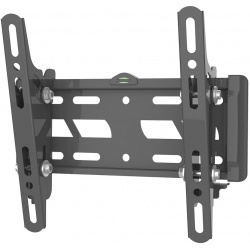 Suitable For Screens From 15" Up to 32"
Supports screens from 23" - 37"
Double arm fold flat to wall 17"-27" vesa 75,100mm. 20kg with 15 degree tilt and 180 degree swivel. Distance from Wall 65 - 408mm. 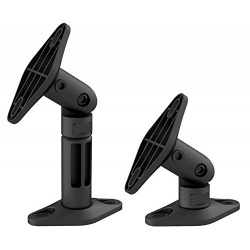 Adjustable tilt up to 12° and swivel up to 180°. 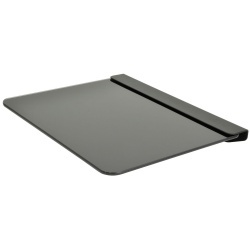 Ultra slim profile for flat to wall mounting of just 17mm. Easy to mount adjustable lateral slide rail system. Built in spirit level for easy alignment when mounting. Techlink TWM221 - For screens from 17" up to 42"
Slim profile for flat to wall mounting of just 57mm. Easy to mount adjustable lateral slide rail system with adjustable tilt up to 15°. Built in spirit level for easy alignment with mounting. Single arm support folds flat to wall. Enjoy a securely-mounted entertainment system with the Techlink TSM201 Fixed Sound Bar Bracket. The TSM201 supports your sound bar above or below a TV screen so whatever you're watching and listening to can come alive. 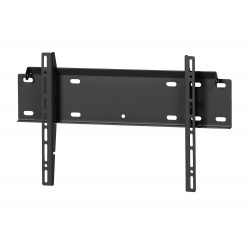 Able to support sound bars up to 15 kilograms in weight, this bracket attaches to the wall or directly to your TV. 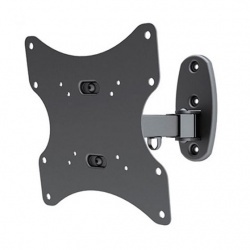 SECURE WALL MOUNT: Sturdy mount safely secures TVs weighing up to 80 Kg and 400x400 Max VESA. 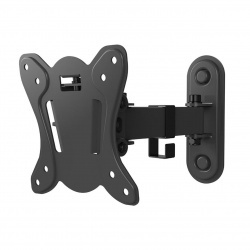 FIXED MOUNTING BRACKET HOLDS TV CLOSE TO WALL: Mount your TV nearly flush with the wall - only 3 cm away with an optional tilt of 8°. 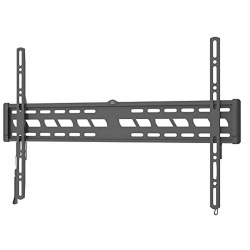 UNIVERSAL COMPATIBILITY: Fits all flat screen TVs 32-55 inches. Works with LED, OLED, HDTV, 4K, LCD, Plasma, and Smart TVs. Compatible with all brands including Samsung, LG, Sony, Grundig, Panasonic, Loewe, Telefunken and Sharp. 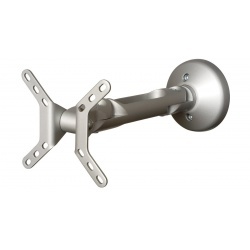 SUPER EASY INSTALLATION: Pre-assembled wall mount includes all required screws and a manual. WARRANTY: Mount massive has a warranty of 2 years. 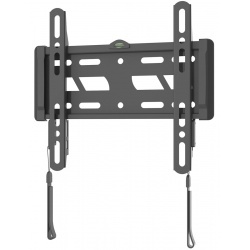 The Essentials Series is a range of simple, no-fuss TV mounts that offer fully-featured, easy to use functionality at price points that represent excellent value for money. 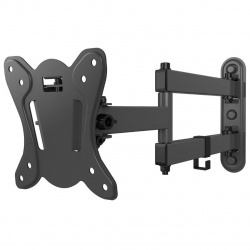 The range is carefully tailored to cover all LCD, LED and Plasma TV mounting requirements. TWM203 - For screens from 17" up to 42"
Double arm support folds flat to wall. 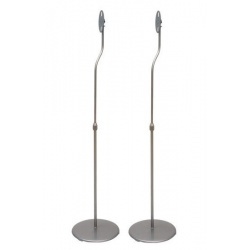 Adjustable tilt up to 15° and swivel up to 180°. Lateral screen level adjustment +-4°. Cable management.